For many of us, Spain offers a trip to the good life - where the food is full of flavour, the architecture beautiful, the art inspiring, the landscape varied, the history fascinating - and it is sunny a lot of the time. Known for passion and diversity, the best places to stay in Spain are similarly typified. There's almost too much variety and many hoteliers and restauranteurs are supremely passionate about the way they do things. A vibrant, cosmopolitan capital, Madrid's old-world charm and hospitality blends beautifully with the open-all-hours nightlife. Madrileños have always stayed up late eating and making merry and this city certainly knows how to get the most out of life. Food, art and architecture are high on the list of priorities here and the city is home to many grand and graceful buildings. For centuries local artists were supported by Madrid's elite and the reward is three of the world's best art galleries. The food comes later in the day and nowhere is proof of Madrid's ability to embrace the new, while treasuring tradition. Barcelona is Spain's other classic city break destination full of unexpected pleasures, thanks to her great fans, as well as a collection of famed artists and architects. Barcelona is a rewarding city break because of the ever-evolving architectural landscape - from Gaudí's epic Sagrada Familia to Jean Nouvel's imposing Torre Agbar. The other highlight which surrounds you is the foodie scene, a varied and colourful explosion of Catalan flavours. Some people love Spain for the art, food, architecture, history and culture, but it is also sunny and warm and home to some of Europe's best beaches. The Balearic Islands: Mallorca, Ibiza, Menorca and Formentera are some of the best-known of Spain's holiday isles, offering everything that is spectacular and fun about the Mediterranean! The Canary Islands are the other obvious Spanish Island destination, great for dramatic, volcanic interiors as well as sailing, surfing and diving. The Costa Brava, Costa Blanca and Costa del Sol also boast sun and sand and everything from bustling cities and resorts to tiny fishing hamlets. These sunny strips of coast have long been Europe's best known beach getaways. Plus there is plenty of choice when it comes to eating and nightlife and masses of colourful local events to keep you entertained. Then there's Bilbao, the industrial phoenix turned cultural powerhouse, the wine regions of La Rioja, Pamplona for the bullrun, Seville and all of Andalucía with wonderful Moorish architecture, the famous 'white town' of Ronda etc… The list goes on and on! Granada's Alhambra is a truly stunning spot. Originally a Moorish fort, you will be in awe of the architectural splendour and rich history. Be sure to remember your camera! Barcelona's Sagrada Familia, designed by Gaudí, is a breathtaking building both inside and out. It's like nothing you've ever seen before. The El Escorial Palace, a UNESCO World Heritage Site is Spain's version of Versailles with breathtaking design, glorious interiors and beautiful gardens. If you are into culture then be sure to visit Bilbao's Guggenheim Museum, home to a wide variety of fascinating exhibits. The picturesque La Rambla, a bustling hub of activity, is the best place to stop for a coffee and take in Barcelona's culture. Given its popularity, be sure to book ahead if you want to guarantee yourself a room in one of the best places to stay in Spain. If you're looking for hip in Madrid try ME Madrid Reina Victoria once a hotel for bullfighters. It now offers minimalist white rooms, a great restaurant and is topped by a rooftop bar. Also in central Madrid, Hotel Villa Magna is superbly located with opulent interiors and a top floor suite (more like a penthouse) to die for, as well as private terrace, grand piano and butler service. 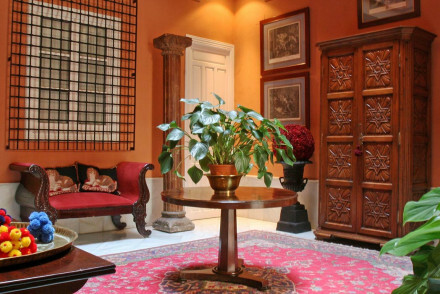 If you are looking for a more intimate spot in Madrid, Casa de Madrid is a boutique luxury residence with only six rooms - the perfect romantic retreat featuring antique-filled spaces and Romanesque style murals. Hotel Abalu's fifteen bedrooms would suit business travellers as well as city break visitors. Each individually designed room boasts a Mac and projector - though some of the interiors might not be to everyone's taste. If you're city breaking in Barcelona you want to stay somewhere close to La Rambla - like the Grand Hotel Central. This is classic Barcelona: a large 1920s building renovated with subtle minimalism and style with a two Michelin-starred restaurant and celestial views from the roof terrace. If you are in Barcelona for the art try Hotel Bagués, an immaculately decorated luxury hotel which cleverly fuses the Gothic with minimalist - and in each room a piece from the Masseria Art collection is on display. The super-stylish EME catedral hotel in Seville has luxurious rooms, a spa, Michelin-starred restaurant and wonderful views of Seville Cathedral from the rooftop. The Hotel Villa Italia on Mallorca is perfect if you're planning a sophisticated seaside break. 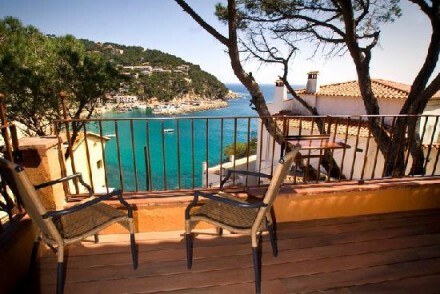 Right on Port d'Andratx, a beautiful natural harbour, you are close to the smart restaurants and upmarket boutiques of this charming fishing-village-turned-high-end-resort. If you're looking for a hotel in which to hibernate, the Hotel del Teatre, in Pubol on the Costa Brava, is ideal. The appeals are the onsite theatre restaurant and location in amid the 'Dali Triangle'. Ten minutes walk from Palma de Mallorca harbour side Portixol has a large restaurant-side pool and free bike hire which makes it a good choice for families. The music lounge with a huge selection of magazines and papers make it somewhere nice to hang out. 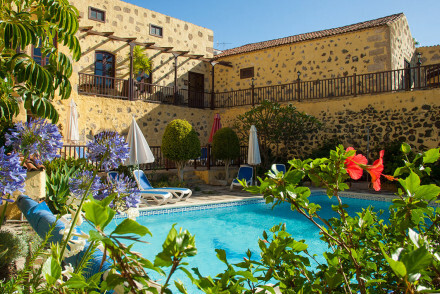 The Hotel San Roque on popular Tenerife, is relaxing and out of the way. It started life in the 18th Century as a palace, so you're not short on home comforts or luxury. The fishing village of Garachico, where it's located, offers both the seaside pleasures of water sports and sunbathing and the pleasures of the mountains and nature reserves. Casa del Maco on the Costa Blanca is perfect for families. A rustic, elegant hotel surrounded by olive groves, almond orchards and vineyards - so make as much noise as you like! 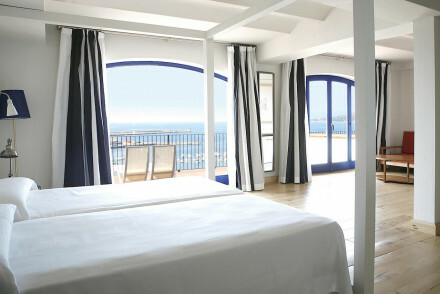 The Hotel Carabeo on the Costa del Sol, is a decadently decorated hotel overlooking the Mediterranean sea. There are some lovely antiques, as well as four poster beds. Several of the seven rooms have private terraces. The food is excellent and very Spanish. The Hotel Puente Romano is a Grand Andalucian sea front luxury hotel with pretty much everything you need for the perfect coastal retreat: a private beach, tennis courts, spa, kid's club and a choice of restaurants. The interiors are bright and luxurious. Es Molí on Mallorca is a large hotel with excellent sea views and has a private beach. It's far enough from Deia that this 17th century manor house feels like it's has the island to itself - but you're actually quite close if you want to be. Biniarroca Country House Hotel is one of the best places to stay in the Balearic Islands if you're looking for somewhere to hideaway. There are delightful gardens and a lovely pool. Boasting stylish rooms, the delicious food is either grown on site or sourced locally. It is adults only, so ideal if you want to escape the family vibe. Surrounded by idyllic mango, lime and banana groves, Eco Finca de Arrieta is perfect if you want to get as far as you can from the package holiday crowds. The 12 rooms are spread between an 'eco-tower', an 'eco-villa' and marble-floored yurts - all powered by the sun and the wind. There's plenty of activities, including collecting your own eggs for breakfast and playing with the finca's donkey, whilst you're only five minutes walk from the beach and the local village. In the hills and mountains above Madrid, Posada de Esquiladores is a chic, boutique hotel with a rural edge. It's the green views which do it, as well as the quiet location, log fires and regional cuisine. They also have an excellent spa - perfect for adventure and rejuvenation. Rural, but with every comfort catered for, Hacienda Na Xamena on Ibiza is one of our top recommendations for those who want to get away from everything and just relax. The hacienda's setting is extremely private - surrounded by pine forests on one side and a beautiful cove on the other. Infinity pools take full advantage of the views. The food is good and the spa even better. 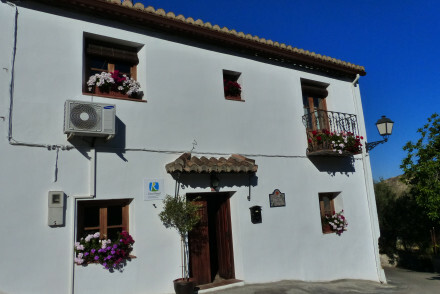 Mas Fontanelles is a 230 year old,fabulously converted farmhouse located on a hillside just north of Alicante. The views over the surrounding valleys are spectacular, there are plenty of local highlights and only 25 minutes to the beach. For a complete Andalucían getaway, La Posada Del Torcal is a remote, romantic and intimate place with views across the valley that will make you smile every morning. The town of Ubeda in the Jaén province is home to the Palacio de la Rambla a homely converted 16th century urban palace. The cloistered ivy-clad courtyard and the rooftop views are two very good reasons to stay there. Barcelona is well known for food and the ABaC Restaurant & Hotel is probably one of the best known amongst foodies. As well as a Michelin star the interiors are beautifully designed and it's has a great spa. Sant Joan de Binissaida on Menorca is a great choice for an island holiday with a special focus on food. Firstly you're surrounded by olive groves, secondly much of the produce comes from the hotel garden, and thirdly there is a Michelin star menu. Named one of the best hotels in the world, twice, and probably because of its restaurant, Hostal Sa Rascassa is probably the best place to stay on the Costa Brava for foodies. The five rooms are simple and fresh as is the restaurant's decor. It is right on the beach, so as well as spectacular food, this is the place to book if you want spectacular views pretty much all to yourself. As well as superb views over Madrid's Parque del Retiro, Hospes Madrid oozes style and refinement. The Bodyna Spa has a Turkish bath and small indoor pool. Plus, they'll lend you a bike for free so you can tour the city with ease. Also in Madrid, AC Santo Mauro was formerly a Duke's palace, now the contemporary interiors blend effortlessly with the original French architecture. Its superb spa and excellent restaurant complete the picture. For something truly special on the Costa Brava, reserve a room at the Castell d'Emporda. Sleep in a wonderful castle surrounded by vineyards, herb gardens, a wonderful glass-fronted restaurant and perfect pool. This historic home has been updated to tick the boxes modern day luxury requires, making it one of the most special properties on our list. Palma de Mallorca isn't really a surprise location, but the Palacio Ca Sa Galesa, with its antiques and art collection - including a Miro and a Calder - is a great place to stay to learn about the region's Roman history. Located within the Costa Brava's 'Dali triangle', between the region's three major museums and galleries, L'Hort de Sant Cebria is our recommendation if you're looking for a country house hotel experience with a Catalan twist. As well as being designed by Frank Gehry of the Guggenheim fame, Rioja's Marques de Riscal is set amid its own vines and offers fabulous food plus an impressive spa. Undoubtedly one of the best places to stay in Spain for those who enjoy the finer things in life! Browse through our list of all the the best places to stay in Spain. Refine your list to the best places to stay in Andalucía, the best places to stay on the Canary Islands or the best places to stay in Madrid. 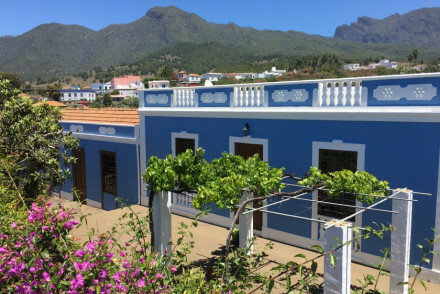 Located in the centre of the charming marina in a small fishing village, this hotel offers guests a private garden and swimming pool just minutes from the beach. With lots of good restaurants nearby and lots of sporting activities on offer, this is a great value getaway for all the family. A quaint country house dating back to the 1800s offering guests five homely bedrooms. 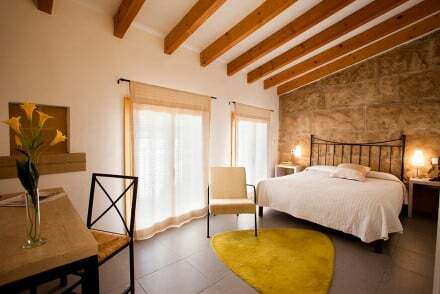 Terracotta tiles, exposed beams and comfortable beds. The hotel has a popular restaurant with outdoor terrace dining and views of the S’Engolidor ravine. A charming spot with lots of character. This charming Andalusian village house in the Lecrin Valley has three rooms, one a self contained apartment with kitchenette. All decorated in a traditional style with exposed beams, terracotta tiles and white washed walls, with Moorish accents and fabrics. Excellent tapas just a short walk away! Sights nearby - Whilst a bit of a drive away, 'Mini Hollywood', where many of the famed Wild West movies were filmed is well worth a visit. Great walks - Las Alpujarras and the Sierra Nevada peaks will keep the leisurely and the most adept walkers occupied. Birdwatching - Lecrin Valley is famed for its birdlife: from eagles and vultures to smaller birds. Fishing - For seabass and carp in the Lake Beznar freshwater lake. Run by an English couple, a boutique bed and breakfast decorated with antiques in every corner. Rooms have private terraces and sea views. A fine baroque style bar and an outdoor pool. 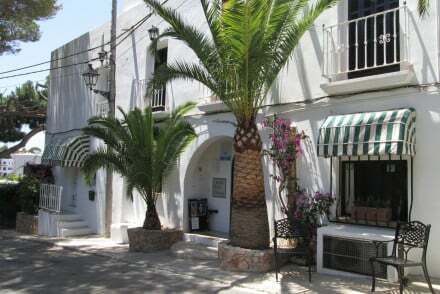 Located in the old part of town it enjoys a historic and tranquil setting. Historic, centrally located property transformed into a chic guest house. Simple with bright and colourful rooms, plus a charming courtyard garden. Plenty of character and what's better it offers excellent value. Superb base for exploring the town and wider area. Value chic - Original art adorns the walls and light airy rooms are artfully designed, even better, it comes at a very reasonable rate. Sights nearby - Explore Baroque churches and the cloister of Sant Domingo. 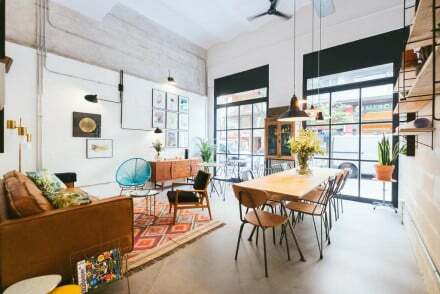 A cool and collected industrial conversion in Barcelona's Eixample district. With rooms ranging from basic singles to quadruple duplex's all boasting clean fresh space, exposed bulb lights and comfortable beds. The lounge offers an eclectic mix of books and art and the bar is well stocked with wine. A small charming hotel with stunning views over the bay. Sunny rooms have parquet floors, creamy furnishings and private balconies. Lovely restaurant and terrace overlooking the sea. A great value spot for a beach holiday. Views - Stunning views over the bay. 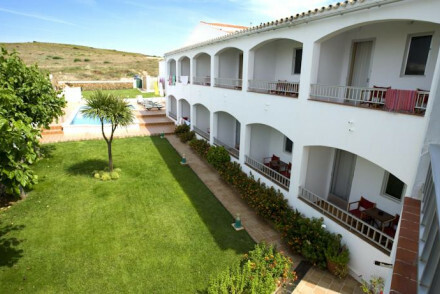 A fine hotel on the beach promenade with a pretty pool surrounded by loungers, and two charming restaurants. Stylish interiors are furnished elegantly and feature warm tones, wooden floorboards and bold fabrics while the large minimal-chic rooms have four posters. A great pied-a-terre for families.